Remember the big credit card breach at Target over the holidays? 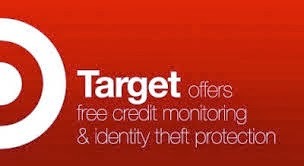 Well, target is doing it's best to save face and is offering EVERYONE a free year of credit monitoring/credit report. Remember this is NOT a credit score, but a credit report. It's a good idea to look at your credit report at least once a year to make sure, nothing fishy is going on under your social security identity. After your free year of credit, you will NOT automatically be billed for another year. It will simply expire, so no need to worry about getting charged for this. Sign up before April 23rd. Of course, there are other way's to get free scores or credit reports, but his is another great way to make sure your finances are safe. Figure out how to pick a decent host for your better begin in Internet Marketing. Know which facilitating website backup administrations you ought to lean toward for your solid business.